This is the fourth article in a series of articles that a few of us will be writing this summer. This is the For Your Summer Binge Consideration series. 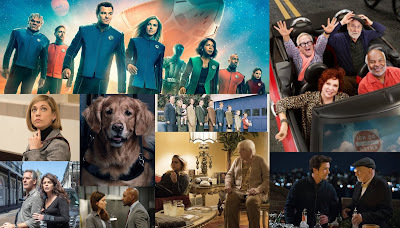 Each article will talk about a show that will be returning for its second season in the 2017-18 season, and why you might want to watch the first season before the second season premieres. We continue with Atlanta. One of the most overused praises for a television series is for a reviewer to claim that the show in question is unlike anything else on television. 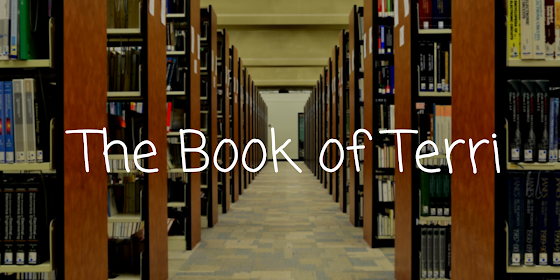 It tells the reader that the series has managed to break free of cookie-cutter character tropes and generic plotlines in a world of spinoffs, sequels, and reboots. With that said, I can confidently confirm that 'Atlanta' is like nothing else on television right now. 'Atlanta' follows Earn Marks (Donald Glover) as he takes up the job of managing his cousin Alfred "Paper Boi" Miles (Brian Tyree Henry) who is an up-and-coming local rapper. While this is a general description of the show, it barely scratches the surface of what 'Atlanta' really is. The series masterfully depicts how difficult it is to make ends meet in life as well as tackling politics in a generally subtle fashion. 'Atlanta' manages to do all this while still being a really funny show. Darius (Keith Stanfield) is one of the biggest reasons why the show is a comedy machine. He's an almost Kramer-like character with his conspiracy theories and money-making schemes and he hits the mark whenever he's on screen. That's not to say that Earn doesn't provide his share of the comedy. I'm a fan of dry humor and Glover seriously delivers. One of the greatest scenes in the show's 10-episode first season involves Earn not being able to order a kids meal because he doesn't meet the age requirement. It was the first clip I ever saw of 'Atlanta' and was one of the reasons I decided to check it out. Aside from those two, Alfred (Brian Tyree Henry) and Van (Zazie Beetz) are also amazing characters. Alfred has the tough job of maintaining a good profile as a rapper and it's something he fails to do. He ends up getting involved in a shoot-out and armed robbery even if neither is really his fault. With that said, you can't help but root for him. He's an underdog rapper trying to make his way to the big leagues and continuously gets upstaged by bigger celebrities and gets his name tarnished. Ultimately, 'Atlanta' crafts his character very well. As for Van, she is Earn's ex-girlfriend and the mother of Earn's child. Her character shines in the episode "Value" where she essentially gets to play the protagonist and eventually gets herself fired from her job after smoking weed. After witnessing the struggles of Earn and Alfred, it's admirable that the series gives us a look into Van's life. It's very risky for a first-season show to try an episode like this, but it pays off tremendously here. "Value" is not the only time that 'Atlanta' changes things up. The episode 'B.A.N' (black American network) features Alfred on a talk show where he takes part in a discussion about black culture and transgender people. Once again, this setting change pays off. Despite not featuring any other main characters besides Paperboi himself, it's a creative and enjoyable half-hour. The addition of commercials peppered throughout the episode catered to the black community gives it a variety-show style feel and contributes to the satirical vibe of the episode. The discussion itself and the addition of a hilarious bit with a trans-racial character are just as funny as they are thought-provoking. While it is a great installment, 'B.A.N' is the only time the series tackles politics head-on as the series usually approaches social issues in a more subtle way and doesn't make it the focus of an episode. Outside of those episodes, the rest of 'Atlanta' focuses more on character relationships and trying to make it work in life and in the rap game. There's never any real resolution or happy ending to cap off each installment because that's how it is in the real world. It's unlikely that Paperboi will ever reach stardom or if Earn will be able to sleep in an apartment instead of a storage locker and there's nothing they can do to stop that. But, the finale gives Earn a glimmer of hope and it really is great to see him get a much-needed win. 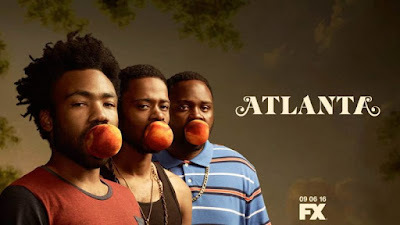 'Atlanta' isn't a serialized show, so you can watch the episodes out-of-order sans the pilot, but I would still recommend watching all ten from start to finish. If you don't have time for that, here are some of my favorites. Ultimately, FX's 'Atlanta' is an amazing series. It tackles politics the right way while still being a comedy that can pull off some dramatic and touching moments. The acting, plot, and music are all top-notch and the series is a must-see. Did I persuade you to check 'Atlanta' out? Are you already a fan? Leave your thoughts in the comments below.